Gabriella Chance has devoted her life to helping others overcome traumatic events. Now it’s her turn. 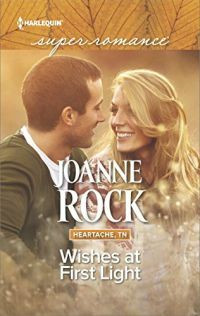 Gabby’s come home to Heartache, Tennessee, to finally face her past. She finds solace in an unlikely ally, her high school crush, Clayton Travers. But while Clay wants to be Gabby’s refuge, he’s returned to Heartache to confront his own demons. With so many painful secrets in their past, can they hope to wish for a happy future…together?